Imagineers had long considered incorporating an internationally themed area for their parks, dating to 1955 when International Street was announced for Disneyland. Although never built, this winding thoroughfare would have included a number of facades representing different nations. The concept grew until, in 1956, an entire International Land was proposed for an area between Disneyland's Fantasyland and Tomorrowland. Also known as Little Europa, the land would sit amid the Rivers of Europe, on which excursion boats would pass scenic vistas from a number of European nations. Walt eventually decided to instead use the expansion space for the Matterhorn in 1959. 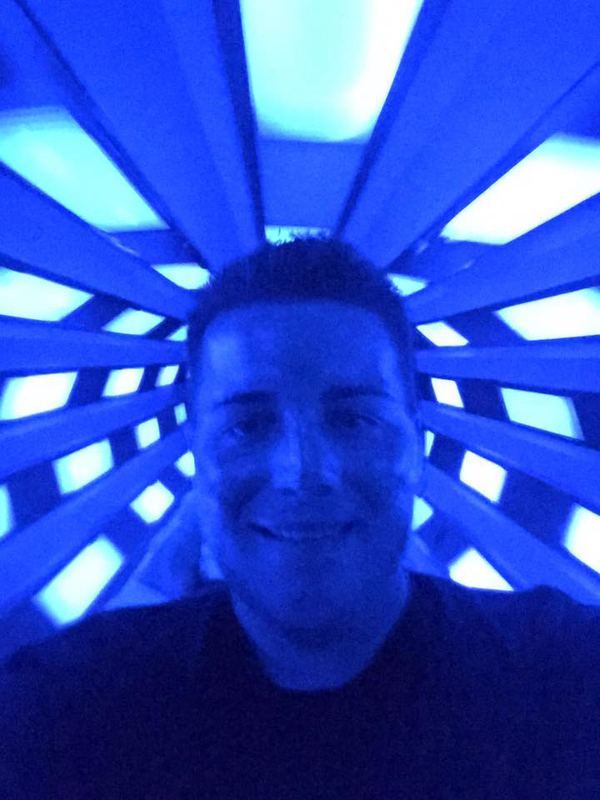 A few years later, Walt Disney's E.P.C.O.T. City downtown area was designed with an internationally themed shopping area. 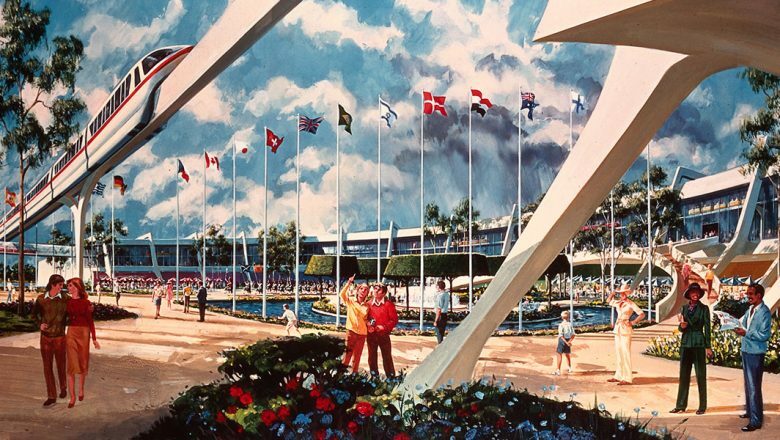 Conceptual renderings, like the one pictured above, show old-world facades with futuristic PeopleMover vehicles swooping overhead. 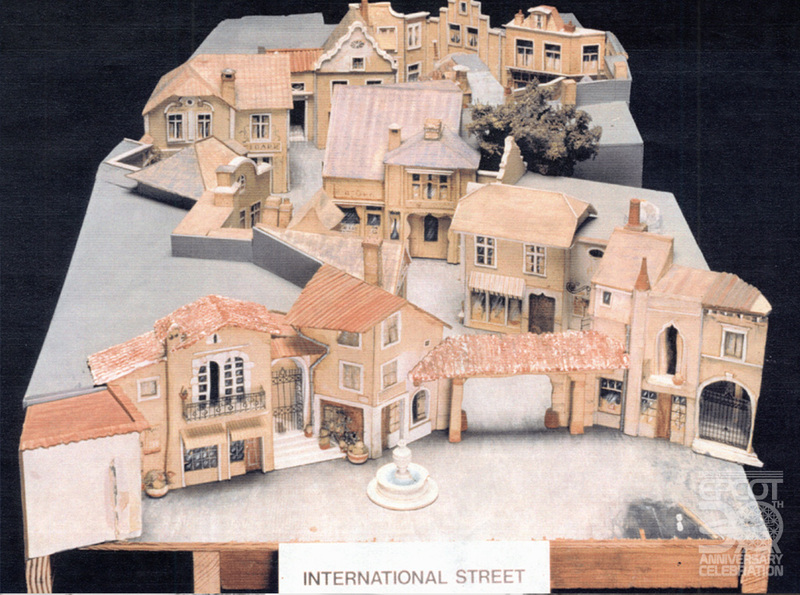 Different blocks would feature different cultures and would include imported merchandise, foreign cuisine, dinner shows, and roving entertainers native to many lands. 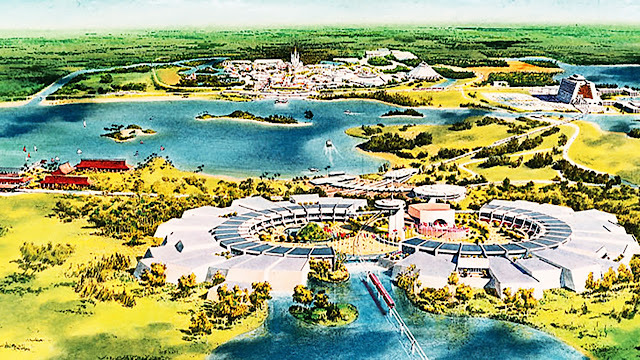 Concept art renderings, like the one pictured above, show a pair of semi-circular buildings located across the Seven Seas Lagoon from the Magic Kingdom. Themed environments would be housed entirely inside the pavilions, leaving the exteriors uniform and of similar frontage. Because of this, individual nation pavilions would not compete with each other for the attention of visitors. 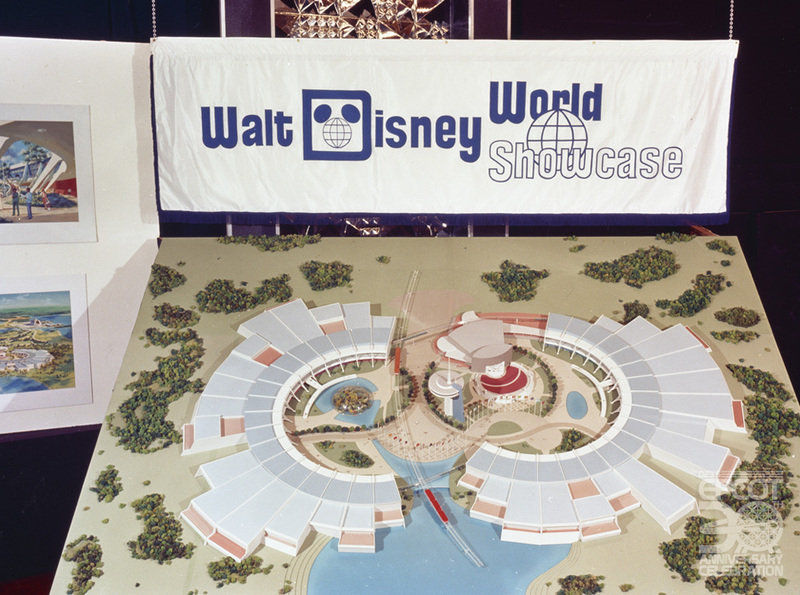 The WED team conceived the complex as a coordinated series of attractions housed in two semi-circular and modular structures. In the center of all this was the Courtyard of Nations, where cultural events were to be staged along with a major theater complex. 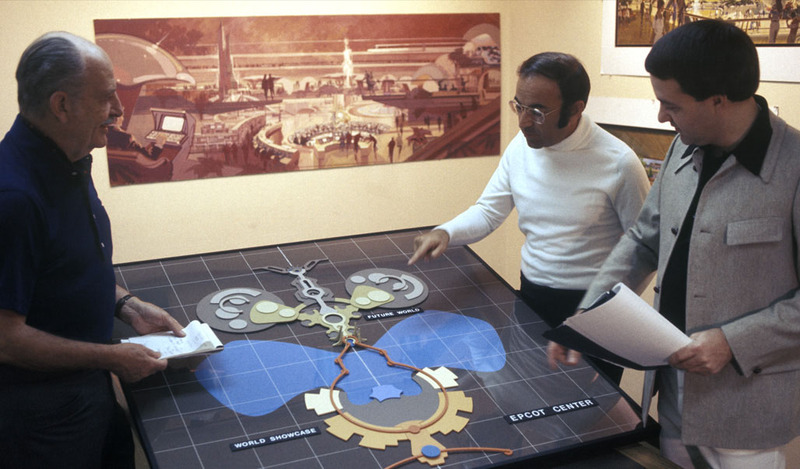 Around this same time, Imagineers were working on plans for a new themed park based on what we know now as Epcot's Future World. Keep in mind that America found itself in the midst of an energy crisis and economic malaise during this period, and despite extensive recruitment efforts, it began to appear that not enough corporations and foreign governments could be recruited to make both World Showcase and the Future World Theme Center economically viable. Proposals to scale down the concept continued throughout the year. In late 1976, with executive review pending, legendary Imagineers Marty Sklar and John Hench famously pushed the models together and EPCOT Center was born. 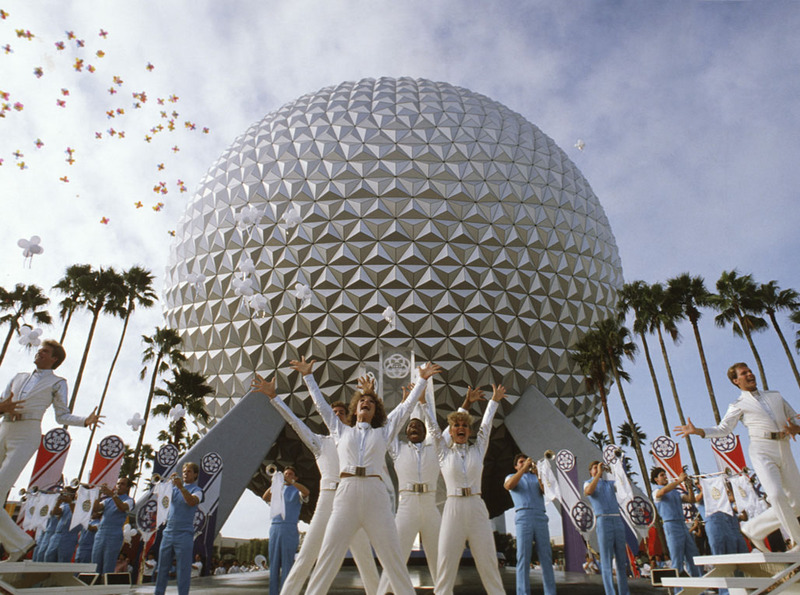 The new park would now have two main areas: Future World and World Showcase. One would be a showcase for the latest innovations of American industry; the other would be a permanent international exhibition. So friends, the next time you take a monorail from the Polynesian Resort to the Ticket and Transportation Center, be sure to peer out your window and think of what could have been!